We all make choices every day. What you choose shapes your future and affects those around you. With 93,000 young people living in Croydon (that’s one-fifth of the population) the choices they have and what they choose to do matter to everyone. Choosing to study, train for a dream job, or find a creative outlet all make a positive difference. On the other hand, someone who chooses to carry a knife, is more likely to become a victim – as well as potentially being responsible for the injury or death of others. 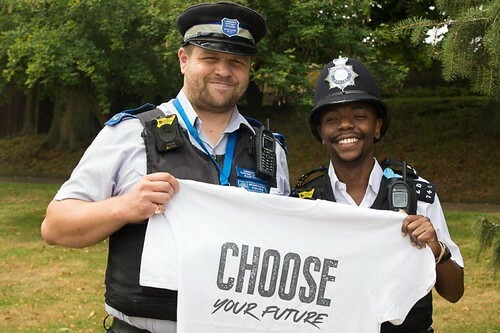 Visit www.choose-your-future.com to think about the choices you make and support the campaign. Hundreds of local young people met at our first Youth Congress in July 2017. They agreed that their biggest concerns were finding a job and earning money, followed by issues around safety. Support young people in avoiding the poor decisions that could ruin their lives. Unite Croydon in helping young people build successful futures.